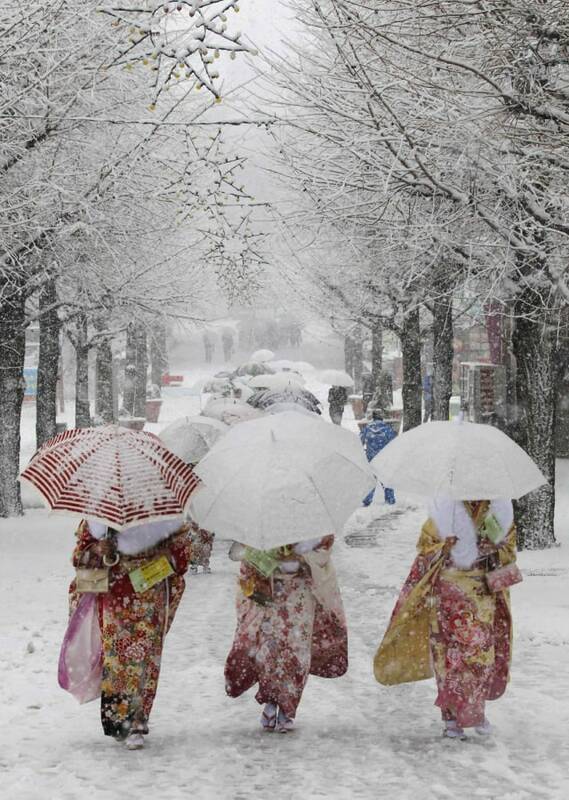 Japanese women in kimonos walk during heavy snowfall at Toshimaen amusement park in Tokyo, as they attend a ceremony celebrating Coming of Age Day, Jan. 14, 2013. Youths across Japan are honoured with special coming-of-age ceremonies when they reach the age of 20. 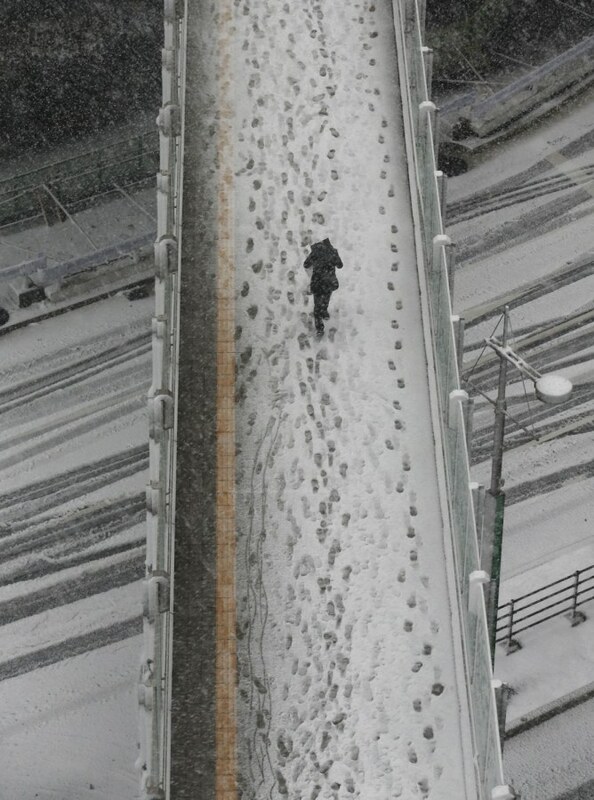 A man crosses a pedestrian bridge in the snow in Tokyo, Jan. 14, 2013. 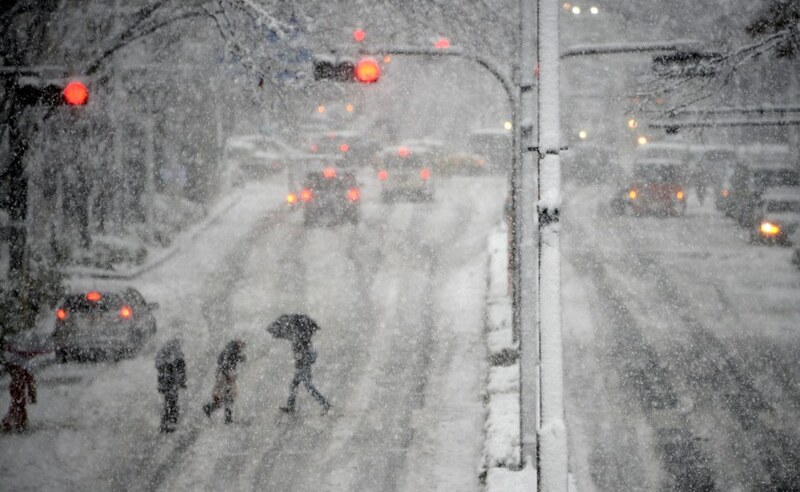 Pedestrians cross a large avenue as heavy snow falls in Tokyo, Japan, Jan. 14, 2013. People clear snow off a road, next to a car stranded in the snow, in Tokyo, Jan. 14, 2013. Tokyo had its first snowfall this season today. A blanket of snow made for pretty pictures but difficult commutes. Flights to and from the capital's Haneda airport were cancelled, parts of expressways closed and local train services delayed. 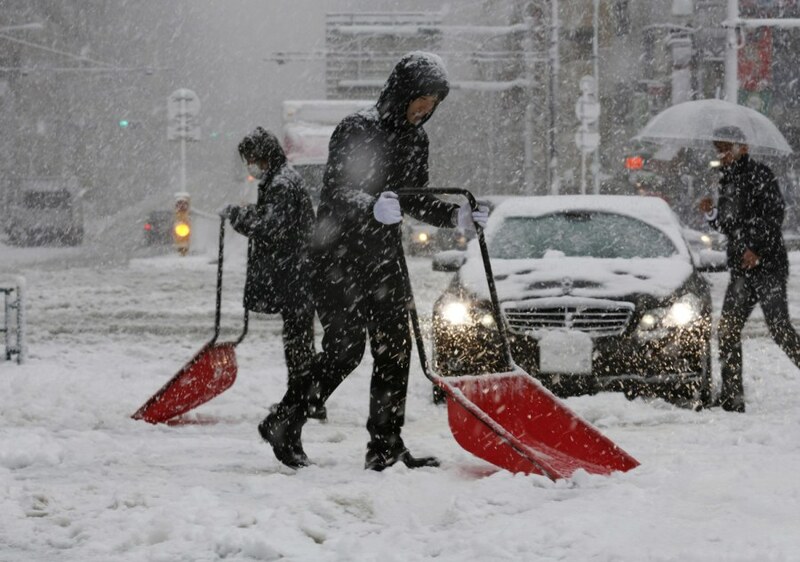 Snow in eastern Japan caused the cancellation of hundreds of flights and led to dozens of road accidents. NBCNews.com's Dara Brown reports. 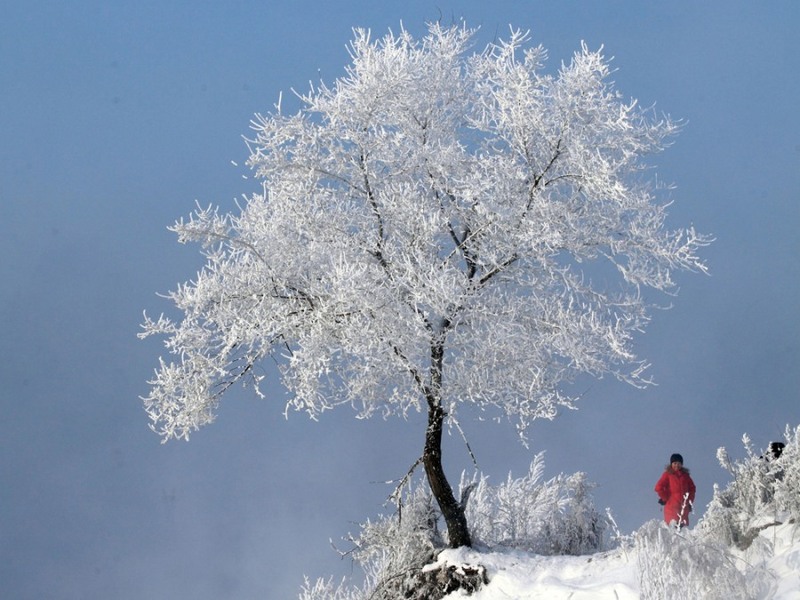 Ice and snow changes our environment, as winter engulfs our world.